Platinum has been named among the top performing UNIGLOBE Travel Management Companies (TMCs) around the world for achieving the highest global standards for service and financial performance. 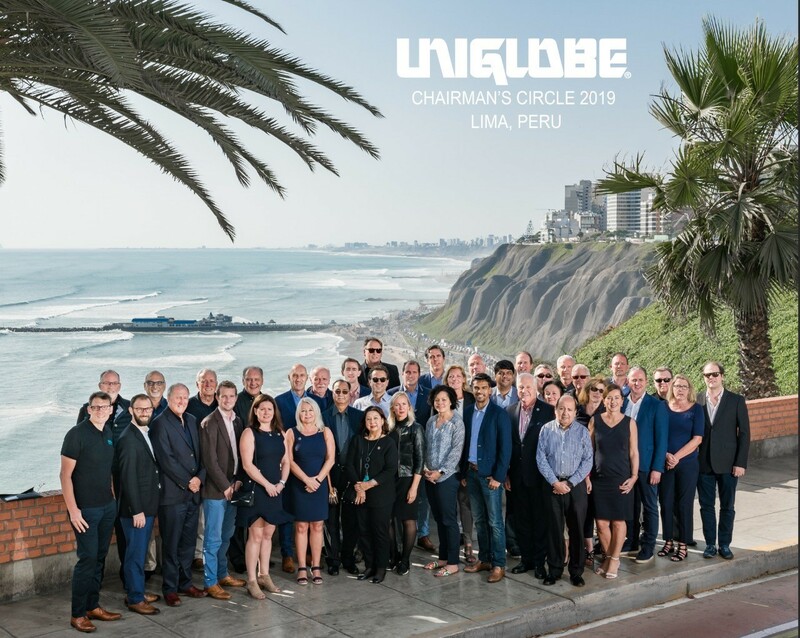 Platinum was recognised among its peers at the annual invitation-only UNIGLOBE Chairman’s Circle event held November 27-29 at the Belmond Miraflores Park in the fascinating city of Lima, Peru. The event was held the same week Platinum was awarded Travel Agency of the Year at the Australian Travel Awards in Sydney. In his opening address, President & Chief Operating Officer Martin Charlwood said “At UNIGLOBE we pride ourselves on providing seamless management for even the most complex travel programs. The 2019 UNIGLOBE Chairman’s Circle inductees are among the world’s leading experts in travel management. We look forward to meeting our members each year to recognise their exemplary service, discuss key industry issues and to get varied perspectives on emerging global trends and business opportunities”. Since the first UNIGLOBE office opened in 1981, the brand has grown to include locations in more than 60 countries. Platinum, which operates five locations in Australia and New Zealand, opened in 2009. This is their 8th year attending the Chairman’s Circle. Chairman’s Circle is an accreditation given to UNIGLOBE agencies that are achieving specified revenue benchmarks and managing their businesses according to worldwide UNIGLOBE System Standards. The annual UNIGLOBE Chairman’s Circle meeting is an opportunity for qualified members to plan and discuss trends, innovations, and issues in the travel industry, as well as network with other top performing agencies and guest suppliers. The three-day agenda included workshops, supplier presentations on industry trends, sharing of best practices and networking opportunities. Working globally to serve clients locally across more than 60 countries, UNIGLOBE Travel leverages current technologies and preferred vendor pricing to save clients time and money on business and vacation travel planning. Since 1981, corporate and leisure travellers have depended on the UNIGLOBE brand to deliver results and experiences that go beyond expectations. Uniglobe Travel International Limited Partnership is headquartered in Vancouver, Canada.